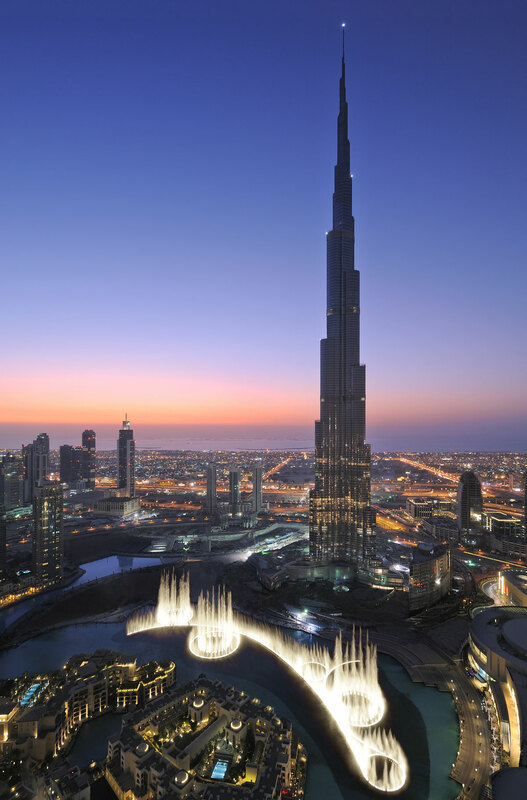 Soaring high above Downtown Dubai, the iconic Burj Khalifa, the world’s tallest tower, and home to the exclusive Armani Hotel Dubai. 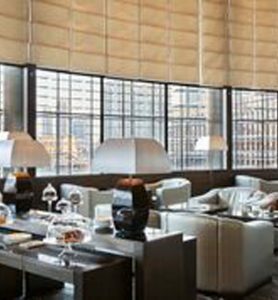 Occupying the first eight floors and levels 38 and 39 of this famous tower, it is the epitome of style, sophistication and luxury. 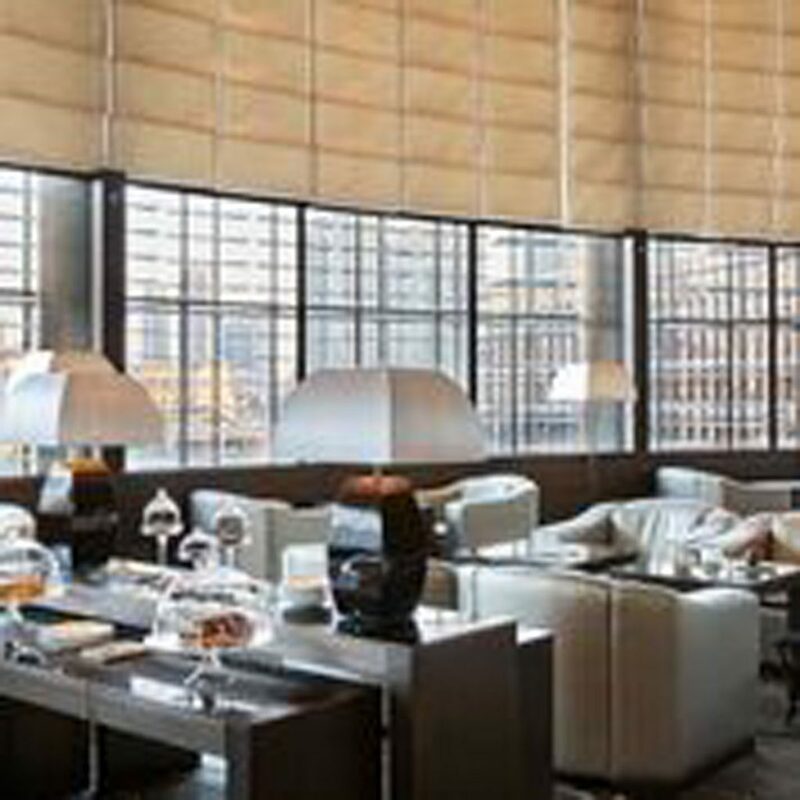 Every element of this hotel from the bespoke furniture to the restaurant menus, has been personally planned and designed by Giorgio Armani himself, ensuring practicality and luxury throughout. 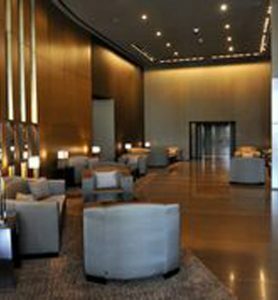 Walking into the lobby it is instantly apparent that this hotel oozes sophisticated elegance, with high-shine wooden floors made from green bamboo marble and Japanese tatami, sleek sofas, along with carefully thought out accents, it’s as if you are entering a film set of billion dollar proportions. 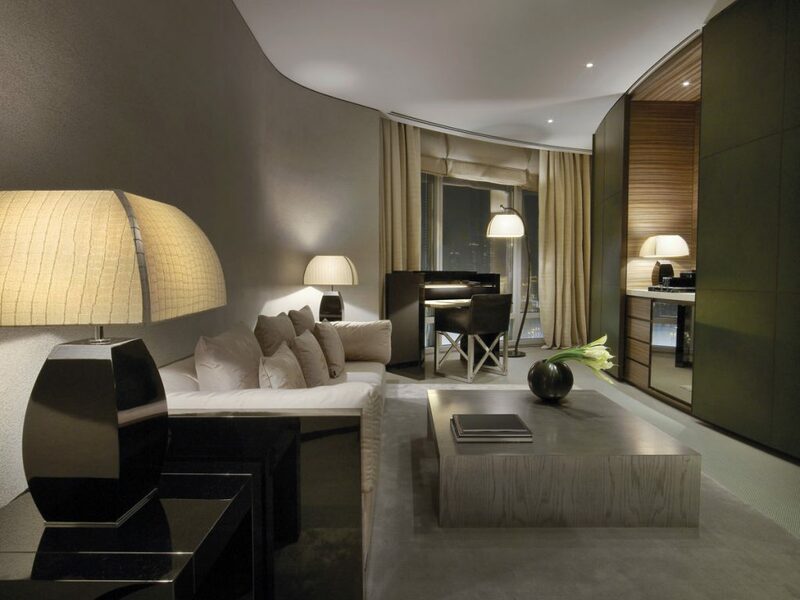 Greeted by our own lifestyle manager, we are whisked off past the designer’s signature white rose displays into the elevator to our Fountain View Suite on the eighth floor. 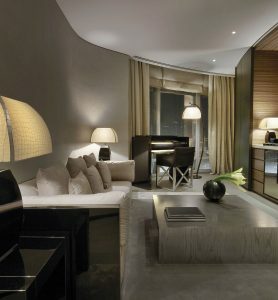 With floor-to-ceiling windows offering unrivalled views over the spectacular fountains, a colour palette of taupe, dark brown and neutrals throughout, Armani plush pile rugs and lamps in creams and greys, this suite was sophisticated luxury at its best. 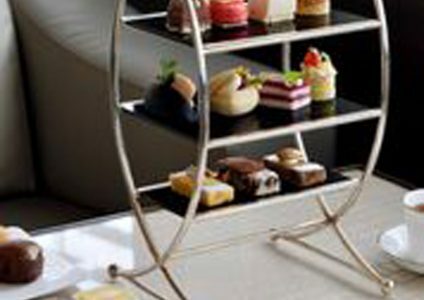 No detail was left to chance, everything right down to the sugar cubes monogrammed with an A. 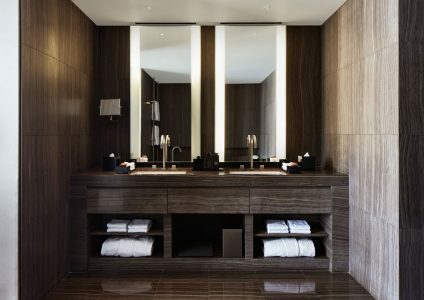 High shine, dark wood tiles dominated the bathroom, with a separate shower and bathtub and his and her sinks built into even more dark wood. 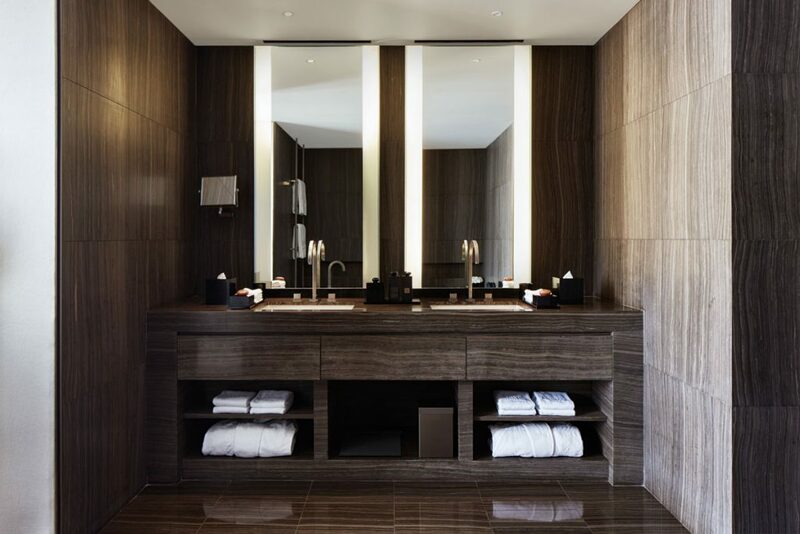 The hand soap, shaped like a pebble, (reminiscent of a pebble that Giorgio Armani once found whilst walking along a beach), together with Armani branded full size toiletries finish the look. 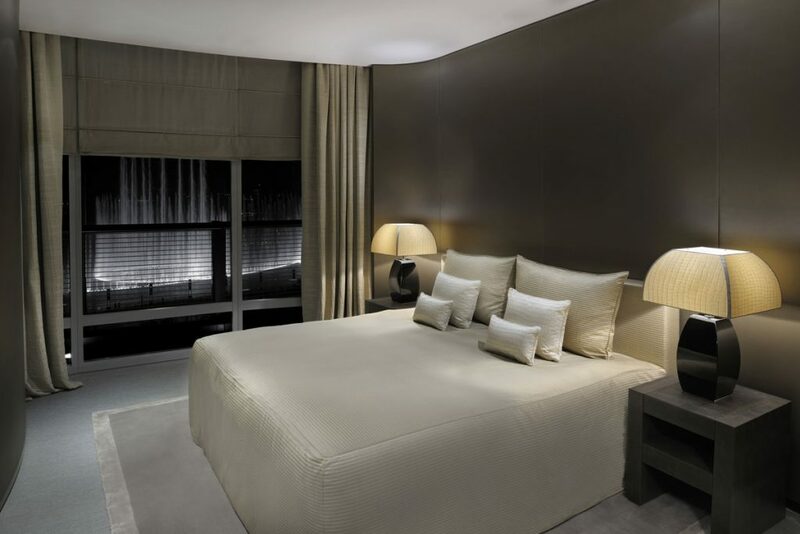 Technology in the suite is in abundance with an iPad controlling everything from the 40-inch flat-screen TV, opening and closing the blinds and curtains, unlocking the door, and if you need a little help with anything just contact your lifestyle manager, who’ll look after you throughout your stay. 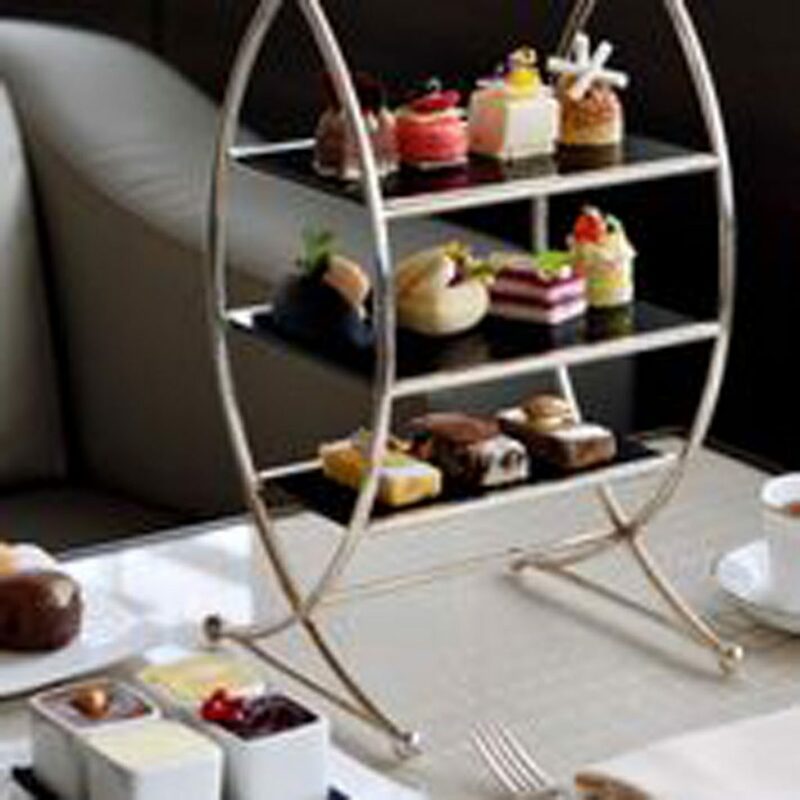 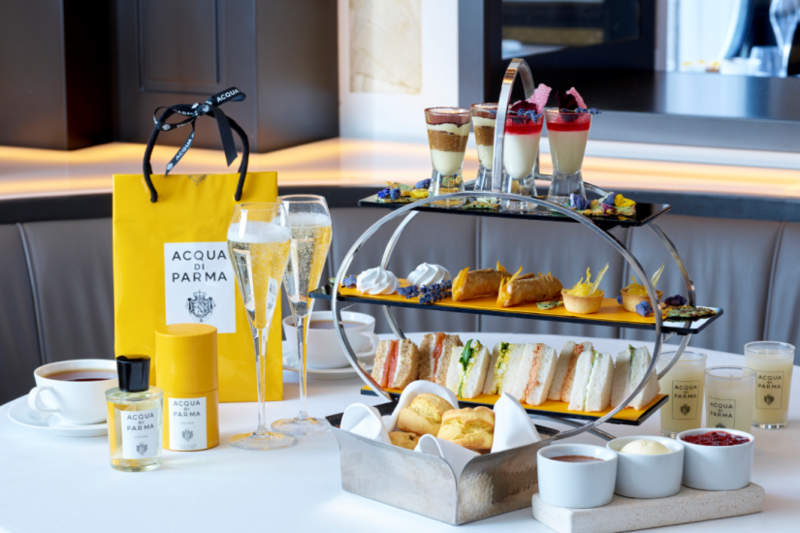 We indulged in some in-room dining with a selection of sandwiches, savoury bites and mini cakes, slightly reminiscent of an afternoon tea and utterly scrumptious – made even more special by the fountains dancing outside as we ate. 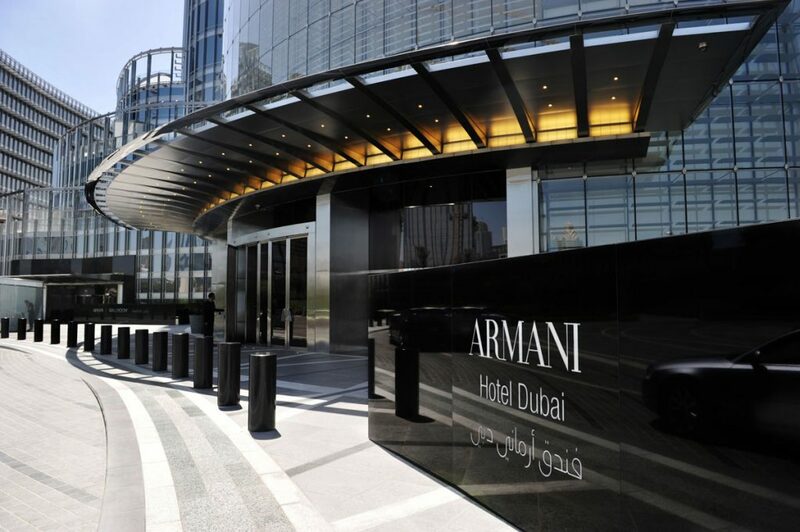 Whether you’re a hotel guest or not a visit to the ARMANI/SPA is a must, even if it’s just to lie by the outdoor pool, the design manages to conform to and reflect the leaf-like curves of the Burj Khalifa effortlessly, and the corner where it is housed is the perfect sun trap. 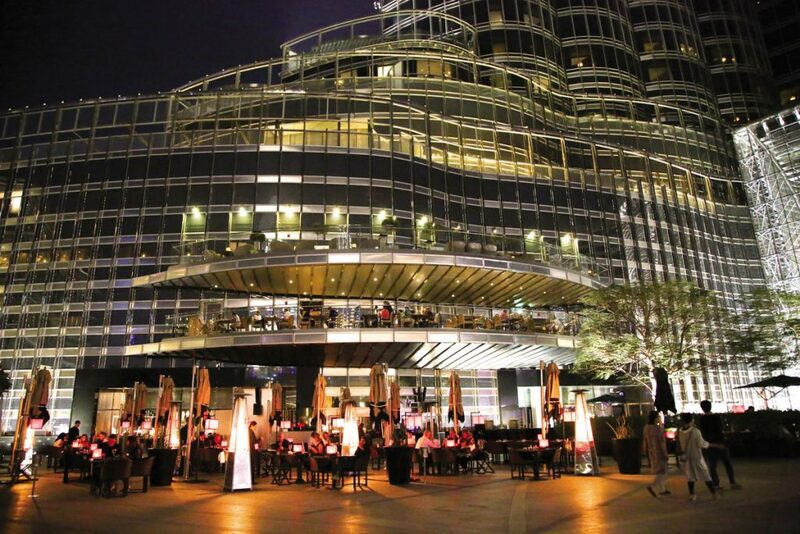 The hotel has seven restaurants offering lots of different dining options ranging from European to Japanese and it was here in the Japanese restaurant ARMANI/HASHI, that we enjoyed one of the freshest, innovative meals we’ve experienced todate, made even more memorable by our alfresco dining spot – a table for two outside on the terrace overlooking the iconic Dubai fountain – delicious dishes with wow views, we couldn’t ask for anything more. 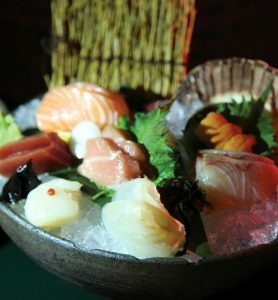 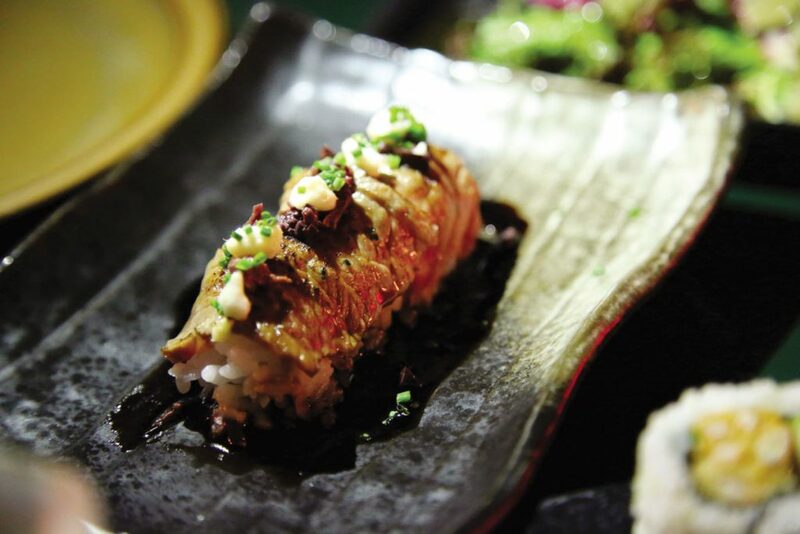 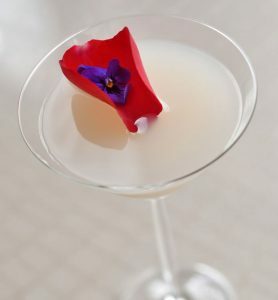 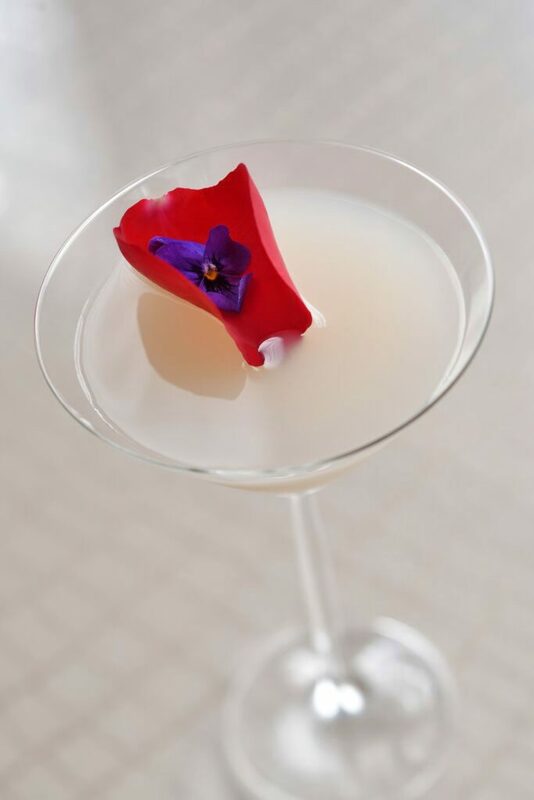 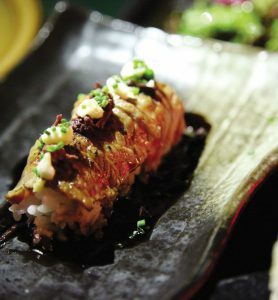 ARMANI/HASHI delivers an imaginative twist on traditional and contemporary Japanese cuisine, and with the passion and enthusiasm of eccentric Head Chef Jimmy, from Japan, it is obvious we are in for a real culinary delight. 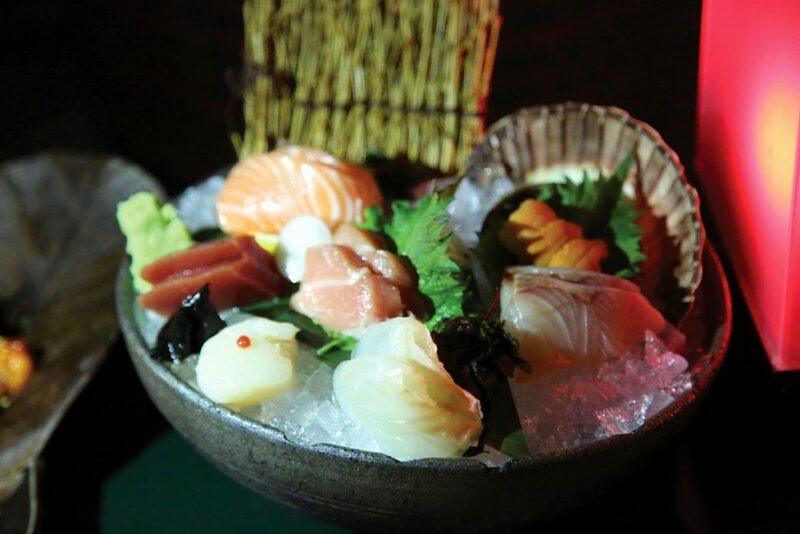 There was no ordering off the menu, we were leaving it to Jimmy to create some of his favourite dishes for us – from the Sashimi platter – five varieties and 15 pieces of sashimi – salmon, tuna, yellowtail, scallop and seabass to the finest beef with foie gras, lamb chops and Miso Chilean seabass with Japanese plum, it is evident that the ingredients here couldn’t get any fresher, (the fish is flown in daily from around the world) – by the way did I mention the signature Wagyu tataki, served with nameko mushrooms and truffle soy – Every dish has an amalgamation of flavours and textures that literally melt in the mouth – the whole dining experience made even more special by the mesmerising fountains dancing every half hour. 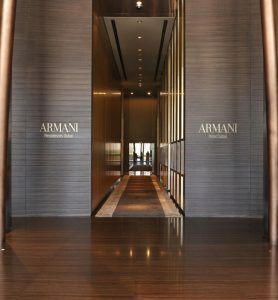 No trip to Armani Hotel would be complete without a trip to The Dubai Mall, accessed from a private lift that takes guests straight from the lobby into the mall. 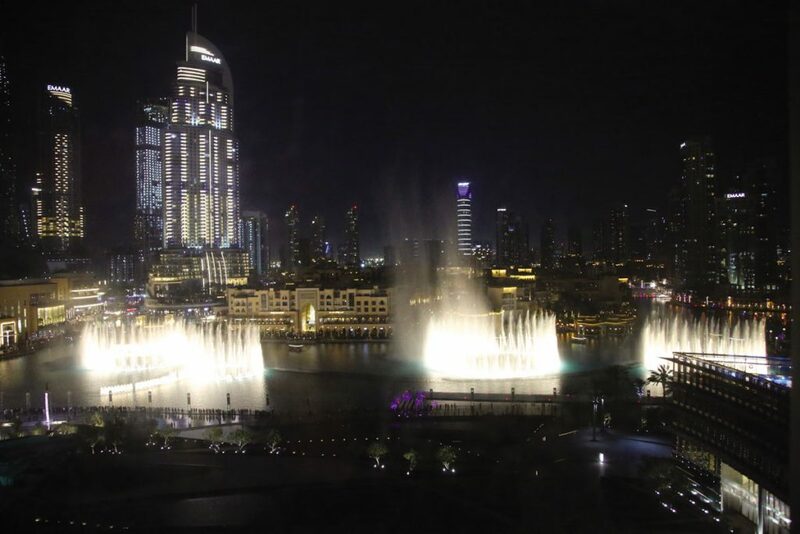 With more than 1000 luxury designer shops, an Olympic sized ice-rink, aquarium, cinema and waterfall – you need at least a day to get around it all. 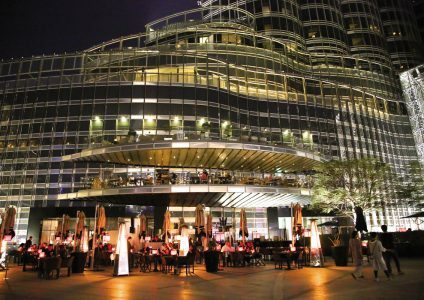 If you want to head higher up the Burj Khalifa, then why not relax and enjoy a cocktail or two in the Atmosphere Lounge, a fantastic way to watch the sunset. 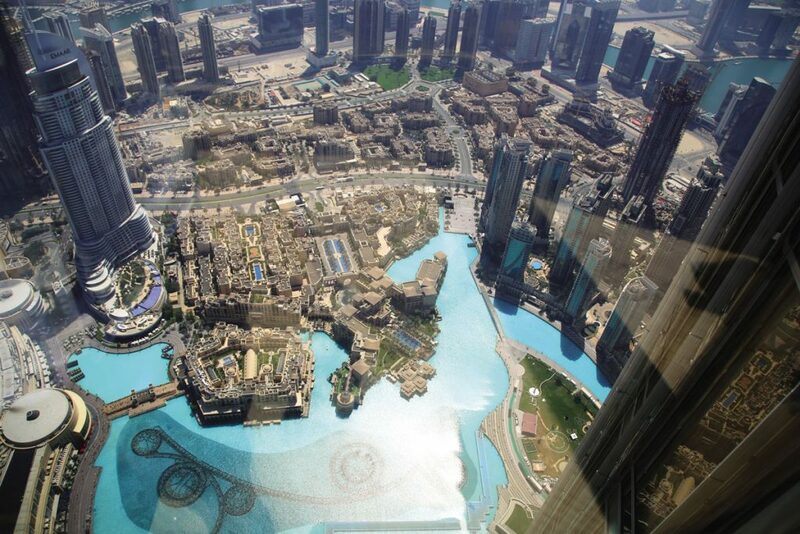 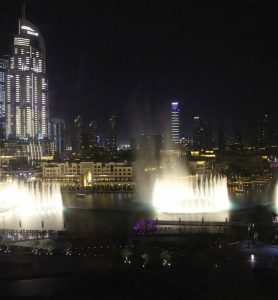 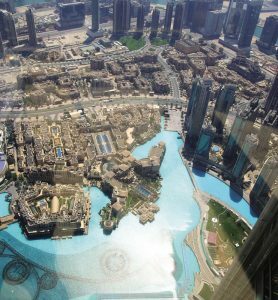 Located on the 122nd floor it can again be accessed via a private lift from the hotel lobby and as you can imagine offers the most spectacular views of the entire city. 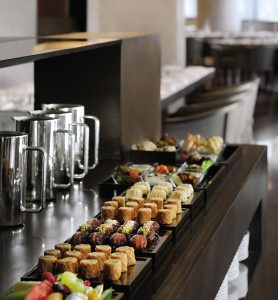 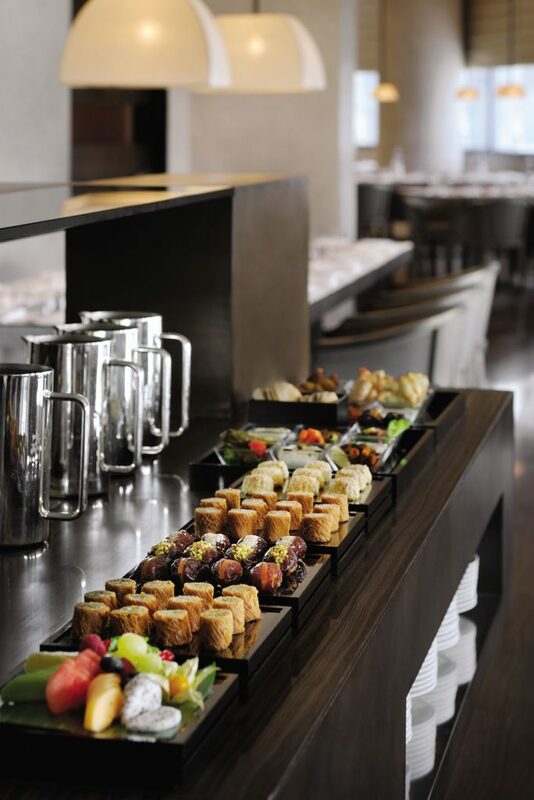 An impressive breakfast buffet, literally fit for a king is served in the Armani/Mediterraneo restaurant, with dishes from across the region including pastries, sushi, cheese, meats, hummus, haloumi, and fruits. 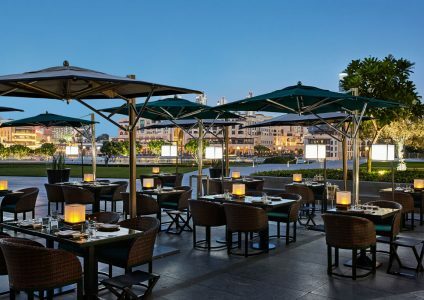 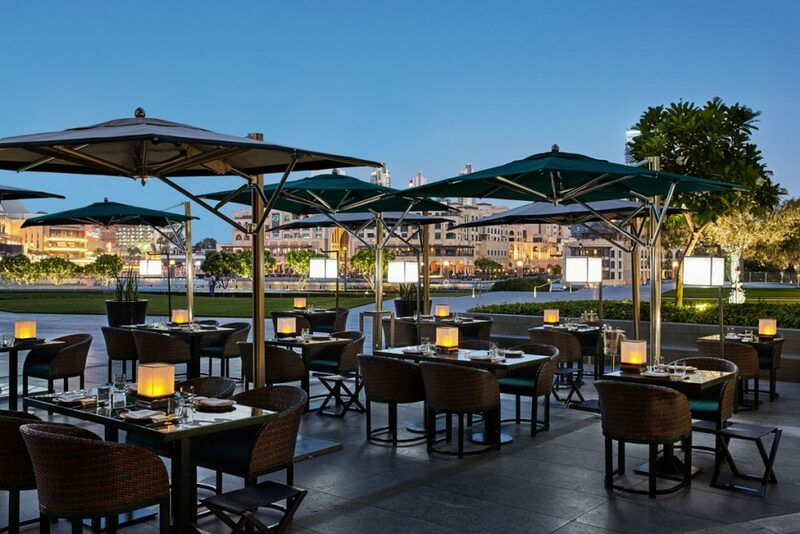 Hot Arabian dishes as well as cool refreshing salads, it’s more like a lunch than a breakfast, certainly perfect for setting you up for another day drooling over everything designer in The Mall. 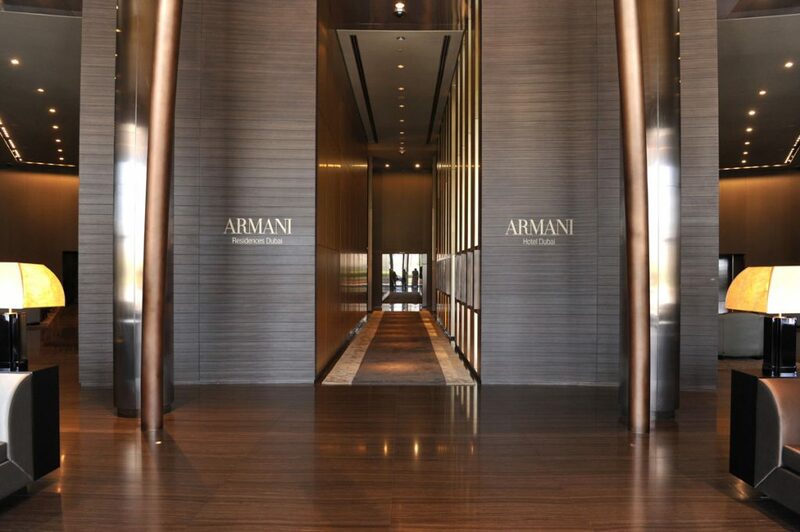 There are 160 rooms in total, all offering true Italian luxury, and the personal touch of Giorgio Armani, it is the perfect place for a stay of pure indulgence, whether it’s cuisine, pampering, shopping or simply relaxing the Armani Hotel has it all and more. 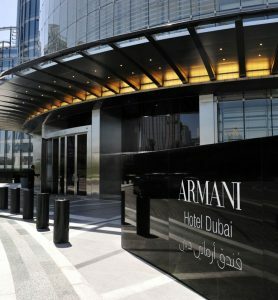 Rooms at Armani Hotel Dubai start from £421per room per night, subject to 10% municipality fee and 10% service charge. 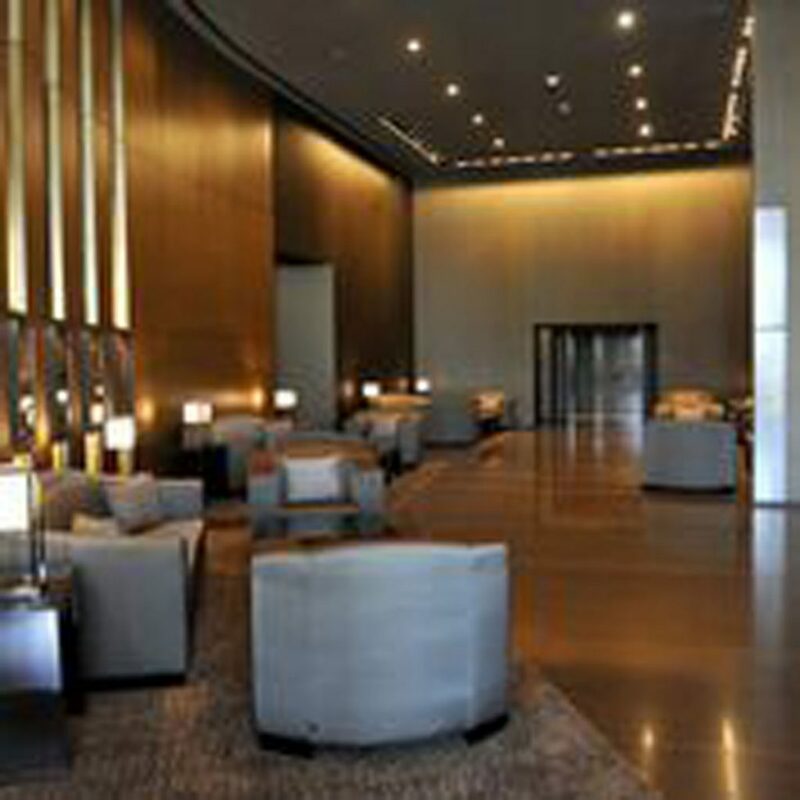 The rate is also subject to tourism Dirham fee of AED 20 per room per night.